There seems to be a 'Your latest Retro Purchase' in the Retro Forum, but this thread relates to ANY type of game you've picked up as of late. Now for the Latest, from yours truly. I preordered Ghost Trick from Amazon. A few days ago, I bought this gem with my Christmas money. It was at a great price, too. Neutopia on the VC. Next will be Ghost Trick. 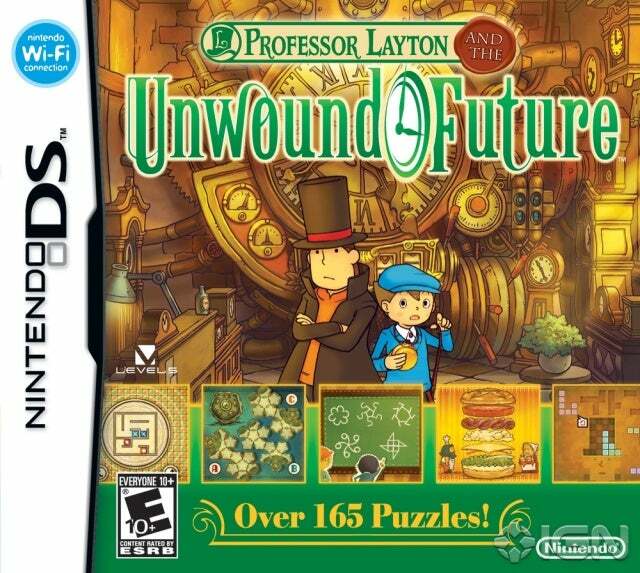 I really wan't to dive into the Professor Layton series, since I love Puzzle Adventure-type games. I was thinking about just going with the the 3rd as seen above, but somebody was saying that you're better off starting from the beginning with the first just so you'll get to know the characters and so on even though you could still pretty much skip the first 2 and not miss much. Professor Layton and the Curious Village will definitly be my next DS Purchase, not to mention I was also thinking about getting Chibi Robo: Park Patrol for the DS as well. But I'm probably better off getting the original Chibi-Robo for the Gamecube, another gem I missed out on. Klonoa 2: Dream Champ Tournament on GBA, and Darius Twin on SNES. I just got Bionic Commando, Bionic Commando Rearmed, and Half Life 1 on Steam today. Jak 3 for the PS2, lilt line for Wiiware, and Majora's Mask and Ninja Gaiden for the Virtual Console. Donkey Kong on Virtual Console, next will probably be Sly Collection. Majesty 2. Hoping to get it in mail soonish... and that it'll actually run on my PC (didn't remember to check that one out in advance). Super Mario All-Stars Limited Edition for Xmas. Got G.G Series: Z ONE on Monday. Bonk III and Bio Miracle on the VC on Monday. 999: 9 Hours, 9 Persons, 9 Doors. Lovely game, and worth every penny.